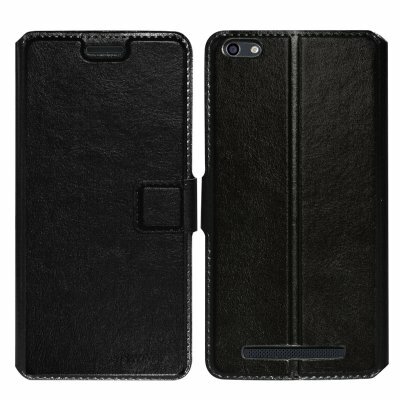 Successfully Added Siswoo C55 Phone Case - Leather, Hard Wearing, Credit Card Pouch, Magnetic Clasp (Black) to your Shopping Cart. Protect your phone and bring it a touch of class with this black leather phone case. Keeping the dirt away and your phone looking in top notch condition for longer; this will help keep the screen and body safe from scratches and knocks. Made specifically for the Siswoo C55 Longbow this elegant case is made from durable black leather so it’s hard wearing and sure to last a long time. With cut out for the phones camera and speaker you won’t notice any restriction in your usage of the phone and can realx knowing its saftley protected in your bag or pocket. On the inside of the phone case there is even a credit card size slot that can be used to store your bank card, business cards or travel pass so they are always at hand when you need them.